David Nieborg, Fernando van der Vlist and I would like to circulate the pre-print of our conference paper on ‘The Political Economy of Social Data: A Historical Analysis of Platform–Industry Partnerships’. [PDF: SMSociety17_paper_138_preprint.pdf]. Figure 1. 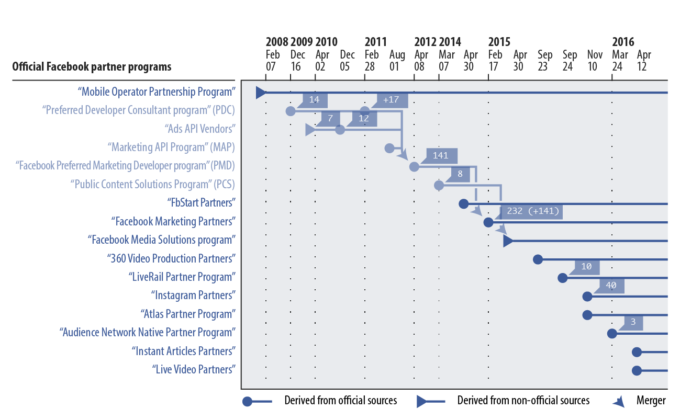 Timeline diagram describing the development of Facebook’s official partner programs since early 2008. (bit.ly/2ruizlY).